Digging through the archives and brain of photographer John Respondek. 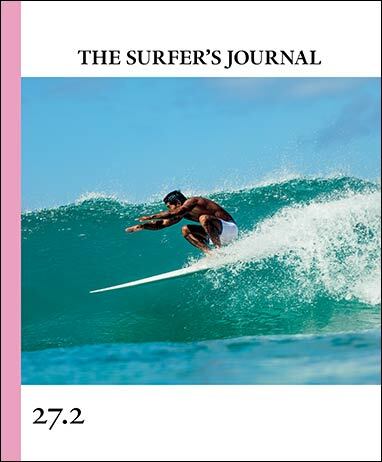 Australian photographer John Respondek has spent his career desert-trotting and wedge-hunting with three generations of free surfers, documenting some of the most progressive talents through the end of the film era, across into digital, and now into the social media age (with his remaining dedication to print media as a defining factor). His favorite coconspirators range from Ozzie Wright to Taj Burrow to Craig Anderson. For the short biopic above, we decided to flip the lens and have another of his favorite subjects, Dion Agius, shoot and direct a film about Respondek’s method and habitat. The result is a look across light tables, into image projections, and through loupes at a vast body of work, and at a modernist shooter with a sense for the spontaneities of both surf photography and his subjects. To see more of Respondek’s photos, pick up a copy of TSJ 27.2.